George O’Brien - a Biographical Memoir. James Meenan. Gill & Macmillan, Dublin, 1980. pp 1X+218. George O’Brien was the only son of Richard O’Brien by his second marriage. Richard O’Brien was the founder and owner of the Wicklow Hotel towards the turn of the nineteenth century. It became a well-known hostelry in Dublin and proved a successful commercial venture. George was never interested in the hotel business and initially trained as a barrister. His career in law started promisingly but failed early because of his inability to cope with the stresses of a legal life. He became Professor of National Economics in University College, Dublin from 1926 to his retirement in 1961. He was a well known figure in the professional, academic and political life of Dublin from the foundation of the state in 1922 to his retirement from his chair in 1961 and his death in 1973. O’Brien was a prolific writer of books, articles, reviews and essays on a great variety of subjects, mainly related to economics in the widest sense, and his appointment to the university chair was gained through his early writing and not through any academic training in economics. He was elected to the Irish Senate by the National University graduates in 1951 and he retained his seat until 1965. He was a member of a number of national commissions and acted in an advisory role to the Free State and Fianna Fail governments. His early conservative nationalistic views were in the mode of Home Rule and changed late and rather reluctantly to the more radical views which inspired the Treaty. He became a strong supporter of the Treaty and was in favour of retaining a close relationship with Britain. He was a regular columnist of the Economist for many years and of other British newspapers, including the Times. He was comfortably off because of an income through his mother and the proceeds of the sale of the Wicklow Hotel, and, despite many periods of unemployment up to his appointment to the university chair, he lived the active social and gregarious life of a bachelor. He never married and lived with his mother and a chronic ailing relative in Dalkey. He led a very active social life in the clubs and pubs of Dublin; his home life was more that of a lodger than a family member. The book is interesting to read for those of us who lived and remembered Dublin and UCD during the 30s, 40s and later years. It was a small world, at least in terms of the coterie of intellectuals, academics, professional and business people who frequented the Arts Club, the Bailey, Jammets, the Unicorn and the few prestigious tennis, golf and sailing clubs in the city and county. The Protestant and the emerging Catholic middle class were gradually merging and living in Donnybrook, Ballsbridge and the outer southern suburbs, and, with time and common interests and the break with the British administration, the wide denominational divide became more and more blurred. The social, political and cultural after-effects of the civil war were still palpable, particularly to one of my generation and background, but despite the bitter divisions which existed and which lasted for much of the following years following the war, a certain buoyancy and optimism emerges when one reads about the friendships and the new freedom of those among the new intelligentsia in the universities and the young state. 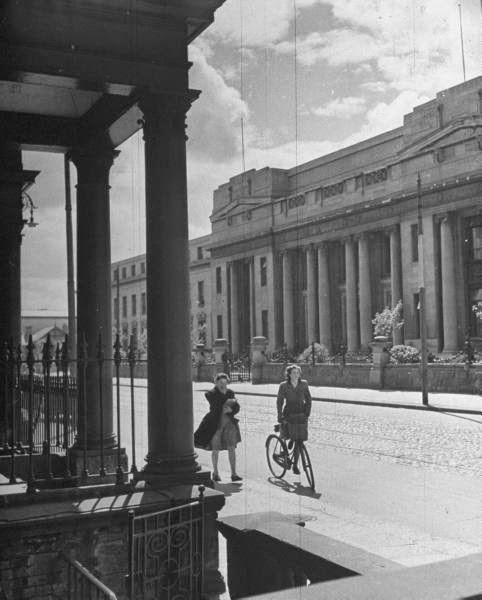 The picture of UCD which emerges accords exactly with my impressions when I was a student there from 1939 to 1945 - overcrowding, limited facilities, under funded (a state grant of £82,000 remained unchanged from 1926 to 1947), poor staff/student relationship (with a few exceptions, including O’Brien) and little to recall Newman’s concepts of university life. The popular appellation in my time of a glorious technical school was exaggerated by the adjective. I thought that few professors shared O’Brien’s attributes. He had a warm interest in his students and not infrequently he entertained them socially. As a confirmed bachelor his preference for younger men was understandable but always honourable. He claimed to be a teacher rather than a preacher. He was conscientious in carrying out his lecturing duties and was proud of his role as a student advisor. He was described by Meenan as articulate, audible and incisive, and in those attributes he was far removed from some of the lecturers I encountered during my six years attending Earlsfort Terrace. UCD, Earlsford Tce. during my time there. My most abiding impression of my undergraduate years in the university (but not in the hospitals) was the poor delivery of our lecturers, their uncertain attendance, and the wide gap between the students and the faculty. There were exceptions but in my last year I found it more profitable to spend the hours in the library rather than the lecture theatre, which certainly contributed to my greater success in the final examinations. Perhaps it was difficult to deal with my own class of 140 students, mostly callow youths with a small smattering of modest maidens who kept a low profile. O’Brien was pragmatic in his concepts of economics and he was little impressed by those who held rigid theories on the subject. His concept of economics fused imperceptibly into the regions of politics, social life and human affairs. He had a practical outlook on economics and on life in general, which included an appreciation of the Victorian virtues of a self-made man. O’Brien had a tendency to depression and suffered a few serious breakdowns during his lifetime. He was unduly sensitive about people’s perception of him and this led to many unhappy moments and to numerous squabbles. However, his great accomplishments as a writer, a patriot and a teacher endeared him to many people and ensured that he had many friends and loyal admirers, and junior colleagues who appreciated his genial personality and his many contributions to the university and the country. O’Brien as a professor believed that he was a teacher, not a research worker in a laboratory nor was he necessarily a deep original scholar. I often wonder whether the modern professor of medicine or surgery is not too often concerned with research rather than teaching and good communication with staff and patients. O’Brien was not inclined to worship gross economic growth and he distrusted planning and economic programmes. He believed the function of economics was to use limited resources efficiently in a society where personal initiative was encouraged and where success depends on the character of the people. It was also interesting to read that, because of interests well beyond economics, he was asked by Methuen to write a history of Ireland since the Union. He refused this commission and this book was subsequently written by P.S. O’Hegarty (a book which I think is an important source of our history from the Act of Union to the founding of the Free State. I have a copy in my father’s library. I bought a second copy about four years ago in Greene’s for £40. P.S. was a nationalist, a protestant and civil servant who was opposed to violence. He was a revisionist in relation to 1916 and the War of Independence. He thought it unnecessary in achieving independence and he deplored its effect in leading to the civil war. He might have been correct in his view but, as my father records in his memoirs, the war was inevitable because of British intransigence and harassment of the Sinn Fein deputies and supporters after the 1918 election). O’Brien believed that economic growth had to be seen against limited resources and he was critical about the phantom of plenty -- a reminder of George Bush’s political philosophy and his obsession that the necessity of improving the standard of living of the American people took precedence over such vital considerations as the environment and the population explosion. Speaking of the Inter-Party government, O’Brien was not opposed to the rescinding of the External Relations Act but he deplored Costello’s decision to leave the Commonwealth. These were also my father’s views if one is to judge by his policy statement when he was elected president of Fine Gael in 1944. Unfortunately my father did not protest about the decision and he was at fault in this regard. He probably did not wish to rock the boat and was anxious to maintain the new government at all costs against Fianna Fail. As noted by me previously in my memoirs, Dad always showed a strict Victorian sense of loyalty to his superiors. In this case it was Costello. It would prevent his raising the matter. He drove down to Cobh with Paddy Lynch, one of Costello’s close advisors, to meet Costello on his return to Ireland from Canada where he made his declaration. According to Lynch, his only comment about the decision to leave the Commonwealth was to say jocosely that Costello must have had a drink before he made his statement! 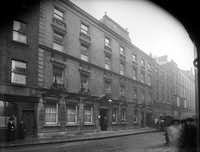 I believe my father’s intervention might have lead to a reversal of Costello’s decision without upsetting his colleagues or the opposition, but I am afraid that by this time, Dad, buried as he was down in the Department of Education in Marlborough Street, had lost the initiative to influence policy. O’Brien, in the Senate, questioned the implication of the declaration in terms of Irish and British relations, but surprisingly neither he nor any other supporter of the Fine Gael party opposed the decision. O’Brien, in his later reflections of his life, remarked that Ireland was in a unique position of influence in the world because of the great dispersion of Irish graduates to many other countries and the unique meeting of two great traditions here, the Roman Church and British democracy. was the eldest of Prof. James Meenan’s four children. 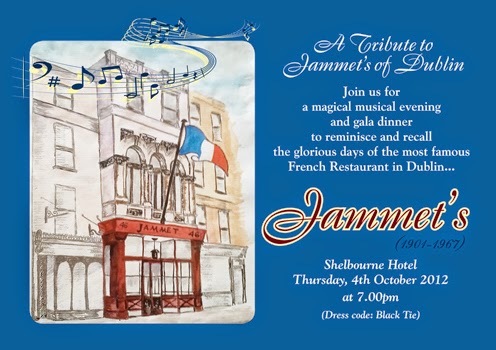 Prof. James Meenan held the chair of medicine in UCD and St. Vincent’s Hospital. It was his sudden and unexpected death in January 1951 that created the vacancy at the hospital which I succeeded to. His three other children became doctors, two of whom, Paddy and Charlie, were later to join the staff of St. Vincent’s where they gave long and distinguished service to the hospital. James Meenan was a very clubable person, like O’Brien and many of those whom I knew in my early years. He remained a bachelor until his late marriage but he never lost his urbanity and his gregarious habits. He had all the attributes of a gentleman. He was a well known member of the Stephens Green Club. As a student he had been a member of UCD boat club during the 1930s, about five years before my time. He continued to support the club as an alicadoo for many years afterwards, and, like O’Brien, he always enjoyed the company of young people. After every regatta, and following six to eight weeks of arduous training and abstention from tobacco, alcohol and association with women, we would let our hair down, drink pints of Guinness to the point of gastric or cerebral exhaustion, and continue our celebrations well through the night. 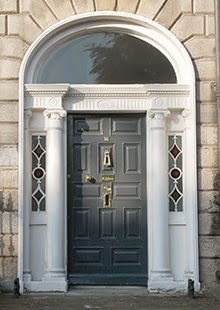 We were always accompanied by James during these sessions and as often as not we would finish in the return snug of his father’s house at 28 Fitzwilliam Square in the early hours of the morning where he maintained a generous supply of the black stuff. He must have had a very understanding and liberal father, well steeped in the traditions of a university although not necessarily as conceived by Newman.